EK® is launching the EK Fluid Gaming A360G kit! After the recent release of our pre-built fully liquid cooled Gaming PCs, we are turning to our DIY customers once again. 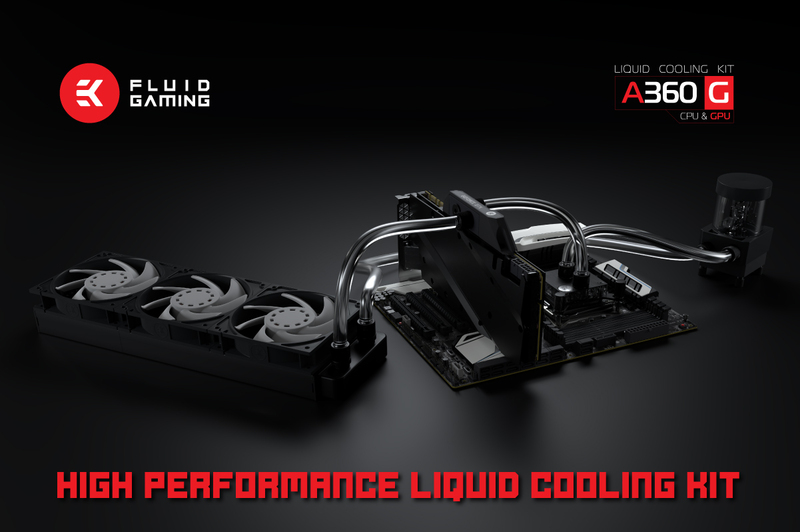 EK® Water Blocks, the Slovenia-based premium computer liquid cooling gear manufacturer is releasing a new kit, the A360G! The twist is the included 360mm EK-AluStream radiator that offers extreme cooling performance for its thickness of 28mm. Dense aluminum fins combined with a slim profile provide a huge cooling surface, while the radiator remains compatible with most cases on the market. EK-AluStream radiators are optimized for maximum heat dissipation across the entire operational range of the included high-static pressure EK-Vardar fans which deliver exceptional performance at both low and high RPM operation. The kit is also equipped with an EK-Supremacy AX CPU water block, an evolution of the renowned high-end EKWB water block that brings excellent performance and an attractive appearance! It’s a universal water block that suits all modern CPU sockets on the market, both Intel and AMD. We must not forget to mention the enclosed SPC series PWM liquid cooling pump with an integrated reservoir. This combo offers premium hydraulic performance and full speed control for silent operation. Full performance on demand or whisper-quiet operation in idle mode. To complete the full custom loop, the kit comes with EK-ACF ALU fittings, EK-DuraClear transparent tubing, the latest EK-CryoFuel coolant, Power and PWM cables, a pump holder bracket and a detailed installation booklet. Since the installation process is the same as for the A240G kit, a step-by-step video installation tutorial is available on EK’s YouTube. The icing on the cake is the EK-AC GEFORCE GTX full cover water block that fits over 140 high-end NVIDIA® GeForce® reference design based graphics cards. Before deciding on this kit, we recommend that you refer to the EK Cooling Configurator for a precise compatibility match with your GPU. 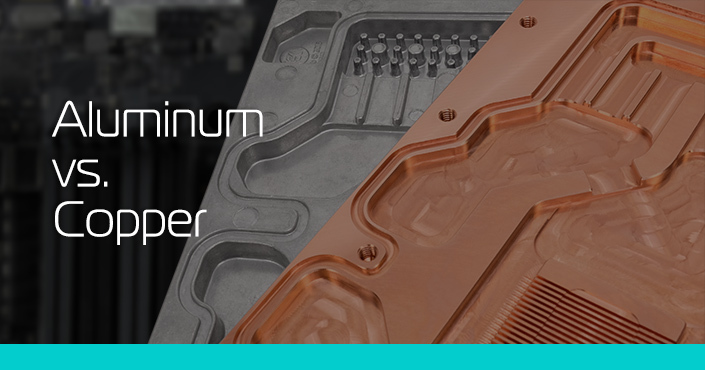 If you want to find out more about aluminum based liquid cooling solutions, you can find much useful information in our blog post. The EK Fluid Gaming A360 kit is available for purchase through EK Fluid Gaming web-shop. In the table below you can see manufacturer suggested retail price (MSRP) with VAT included.